In Verandahs of Power, Garth Powers reviews the decision to build a new capital. This was 1964, three years after Independence. The proposed location was more central than either Blantyre or Zomba but was also close to President Hastings Banda's birthplace. 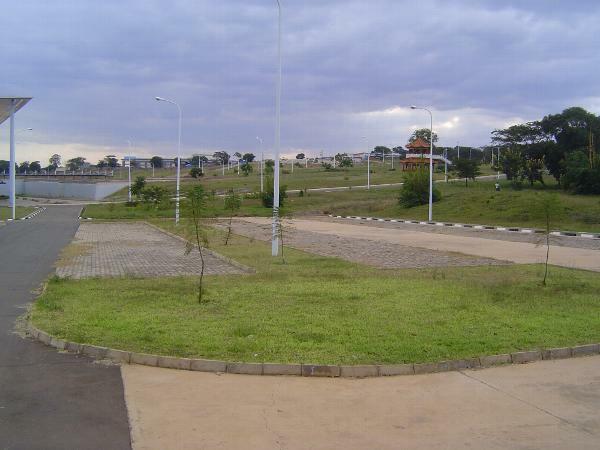 The Capital City Development Corporation would build the city with funds lent by South Africa. Why such generosity? A draftsman recalled that "the Chief Architect was always white. But Kamuzu [Banda] was Minister. He was Minister of Everything" (p. 142). And he was an Anglophile, bitterly hostile to the Communist insurgencies around him. Work began at Capital Hill, shown here.